I hardly dare write that Christmas is around the corner, but the cards now glitter across the aisles in the supermarket, and the chocolate snowmen are lined up in force! Inevitably the panic of choosing gifts for those in my life sets in about now, and I thought I’d write a few tips on choosing both for your own home and for others. 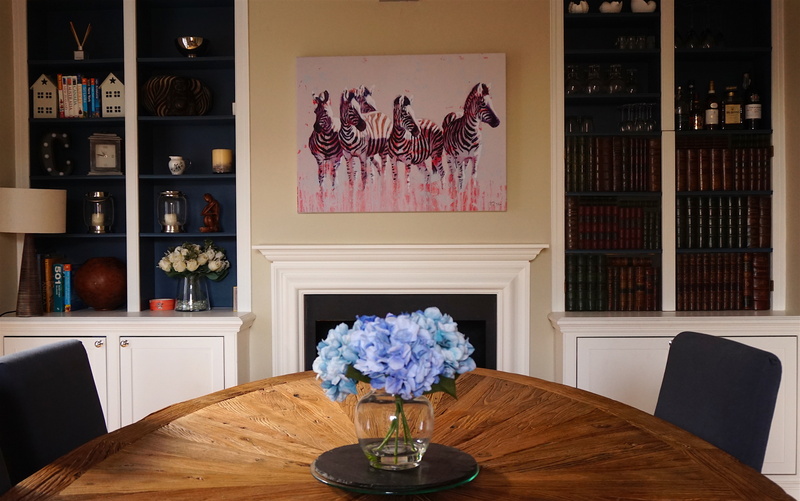 Next month I’ve teamed up with Farrow & Ball and will delve further into choosing art for interiors, offer advice on hanging art work and colour schemes as a backdrop to art in more depth. I often get the impression that many people feel the art is too personal a gift to choose for others, that they think it is so subjective that they won’t be able to second guess what the recipient will like and so shy away from giving it. However, I think actually the opposite is true, people absolutely love being gifted art, for the very reason that it is a very personal thing to give, or be given. I have received a few works over the years, mostly from other artists, and they are amongst my most treasured items. When gifting something, it is worth considering their home, and realistically how much wall space they have. 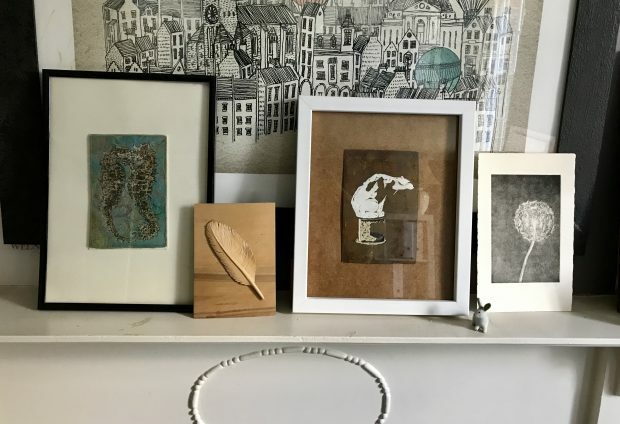 There is no point giving a large framed print if they been in their property a long time and every surface is already full, whereas a small oil or sketch can always be squeezed in, or placed on a book shelf. This is actually one of my favourite tricks, as it has the double bonus in hiding my questionable taste of literature! 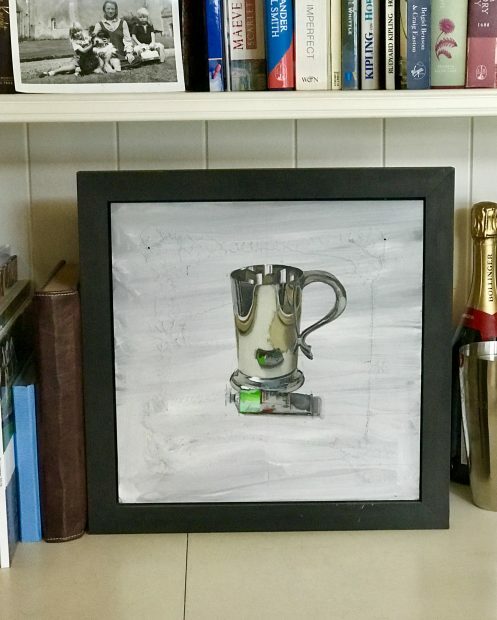 A small still life by Tom Leveritt hiding multiple sins! However if they have recently moved or upgraded and need to fill a lot of wall space, a large canvas print is an affordable option that will make a big impact at a budget friendly price. Spend some amount of time considering their taste – what subject or colours would tally in with their personality and preferences? A couple who spend a lot of time sailing are probably going to relate to a seascape, while honeymooners back from safari may like a wildlife painting as a reminder. A good starting point is any art that they have already, a safe bet is to buy a piece by an artist they have already, or to go for something similar in style. Social media can be a godsend, if they have a Pinterest account, browse through any interiors that have pinned, it might give you the inspiration for a subject or style. Any good gallery should fall over themselves to advise you, or you can always approach an artist to commission something specific either in subject or colour. Art is a gift that should last a lifetime, and makes a fantastic christening or new baby gift for a special child. It’s certainly going to give more enjoyment than a silver spoon stored in the safe. There’s the added bonus, if you choose cleverly, that it will appreciate in value over the child’s lifetime. Ideally choose something that will grow with them, while Beatrix Potter illustrations are charming, they are quickly grown out of. 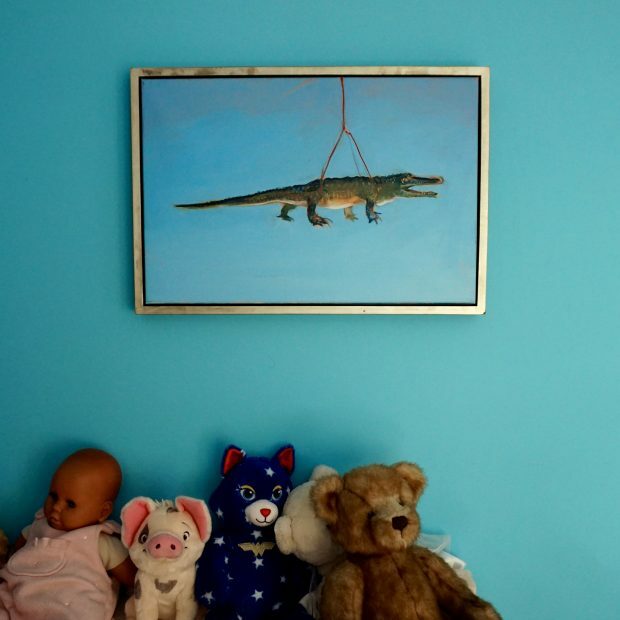 If you are gifting art, it is so much easier to receive something that can be hung straight onto the wall. I was the worst culprit for not getting around to framing pieces, and they used to sit gathering dust in a corner of my office for years. 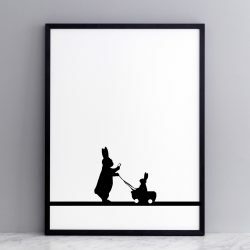 It is worth either budgeting for a decent frame, buying a standard sized work that will fit into a good ready made frame or Ikea or Homesense do very reasonable frames, and they can be used as stop gap solution until a visit to the framer, equally they are a great neutral choice if you think your recipient will probably want to choose the frame themselves. Canvas prints on canvas stretchers are great as they can be hung with no frame, avoiding the problem all together! Some of my ‘yet to be framed properly’ works! 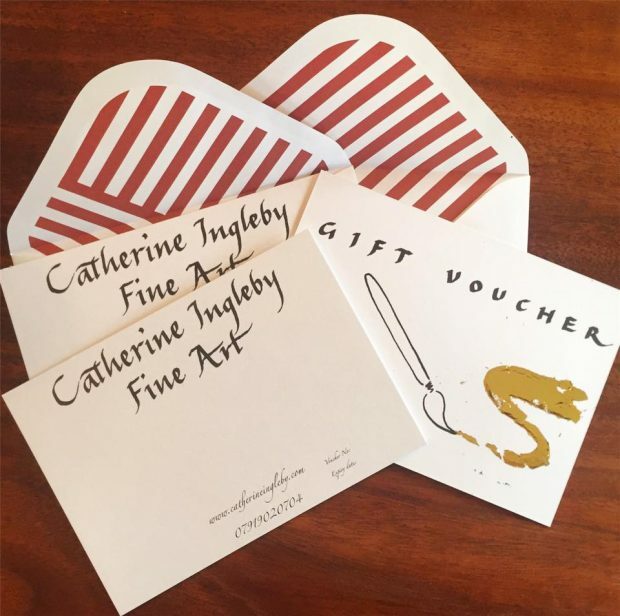 If you’re truly, truly stumped, most artists and galleries now do vouchers, which can be gifted so that the recipient can choose their own piece. This is also a great way for people to group together to give a higher value present for a wedding, or special occasion. Do let me know if you’re considering buying art for someone else, you can post any questions on the comments section below!